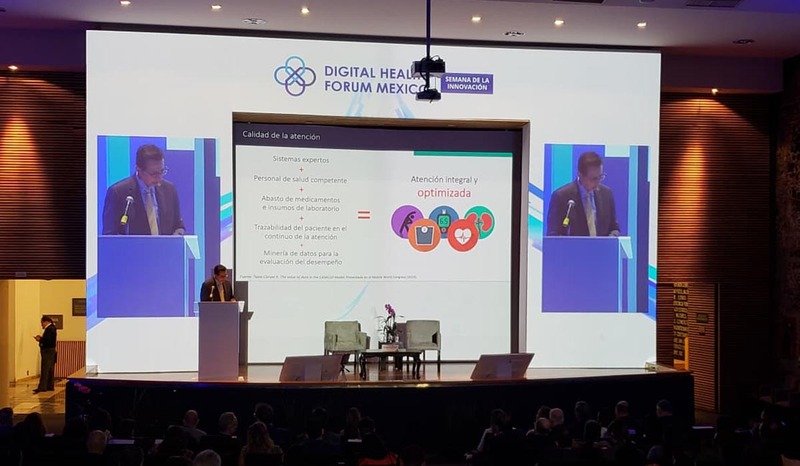 The Digital Health Forum 2019 was held at the Medicine Palace (Palacio de Medicina) of the National Autonomous University of Mexico (UNAM), where a group of specialists in Public Health, innovation technologies and members of the academy discussed the disruption of the health ecosystem in Mexico using new health technologies. The event entitled ‘Prevention and health care. A vision of well-being of innovation’ had the objective of presenting the trends and innovations that influence the industry and new technologies, through the leading experts in digital health. Finally, he said that Digital Health is a social catalyst of the active participation in healthcare and of the improvement of the health system as a whole. At the forum, the challenges faced the industry were identified, as well as the advantages of adopting new technologies for health care. Carlos Slim Foundation contributes to the transformation of health services in Mexico, with cutting-edge models and developments based on Digital Health. Our health programs are aimed at generating solutions that help solve the problems of the most vulnerable populations in the Latin American region and other parts of the world, so that more people live longer and better.